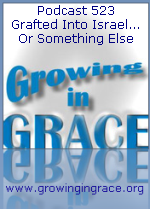 Growing in Grace Podcast: 523. Grafted Into Israel... Or Something Else? 523. Grafted Into Israel... Or Something Else? "We are engrafted Jews." It's another one of those commonly used phrases we often hear in Christianity. This week we take a look at the context surrounding the idea that we Gentile believers were grafted into Israel. What we'll discover is that both Jew and Gentile were grafted into Christ. 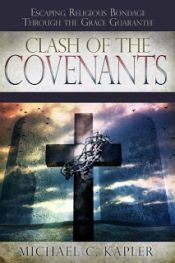 Jesus broke down the barrier that had kept us non-Jewish people separated "so that in Himself He might make the two (Jew/Gentile) into one new man."